Co-Optimus - News - Act Fast: Tidalis On Sale for $1.50 on Steam! An 85% discount on an item is a pretty good deal, wouldn't you think? You could pick up a brand new Corvette for under ten grand. A nice steak dinner for under $5. An mp3 download for fifteen cents. 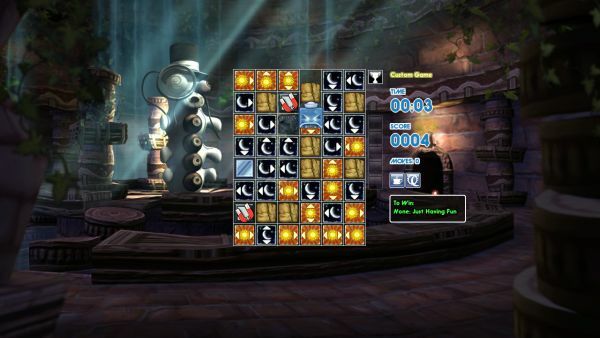 Or, you could pick up a highly polished, deep, and charming puzzle game with an innovative co-op mode for $1.50. Starting now, and lasting until tomorrow at 10 AM PST, Tidalis is the Steam Daily Deal. For a buck and a half, it's absolutely worth it, and if you are even slightly a fan of puzzle games you should pick up a copy as fast as you can. It's the best co-op puzzler out there, with a huge amount of content at normal price. At 85% off, it's an absolute steal. Page created in 0.9405 seconds.